The U.S. Drug Enforcement Administration's refusal to decontrol marijuana has raised the hackles of doctors, patient-advocacy groups, cannabis entrepreneurs and potheads almost everywhere. Under the agency's recent directive, marijuana remains an illegal, controlled substance, like heroin and LSD, that "officially" has no medical value. But unlike most federal regulations, the DEA move will have little to no effect on state-level marijuana politics. Since Colorado and Washington state green-lighted recreational marijuana in 2012, the DEA has gotten swamped by a tidal wave of legalization campaigns across the country for recreational and medical marijuana. Most states have moved fast, first to allow doctors and patients who suffer from diseases like cancer and conditions like chronic pain to be able to use marijuana without the omnipresent threat of arrest and prosecution. But states, especially ones that already have medical marijuana, have also picked up the pace toward complete legalization for a simpler reason: beaucoup tax dollars. To date, 25 states and the District of Columbia have legalized or decriminalized marijuana. There is a plethora of ballot initiatives on tap for voters to weigh in on this November. Initiatives in Arizona, California, Maine, Massachusetts and Nevada would legalize possession of specific amounts of marijuana and cultivation of a certain number of plants. (The Massachusetts question also proposes to tax it like alcohol.) Arkansas, Florida, Montana and North Dakota will consider legalizing or expanding access to medical marijuana. Several other states are awaiting the outcome of conflicts over access to the ballot for marijuana initiatives. Taxpayers may nix other tax increases, but they embrace sin taxes on marijuana. Though marijuana sales in states new to the industry can be slow going, recreational marijuana tax revenues can run into the hundreds of millions of dollars. Colorado has made an airtight case for marijuana revenues. The state takes in a 2.9 percent retail and medical marijuana sales tax, but more importantly, it takes in a 10 percent retail marijuana special sales tax and a 15 percent marijuana excise tax, as well as application and license fees for both retail and medical marijuana. In June, Colorado took in nearly $16.8 million in taxes and other fees compared to nearly $10.8 million in 2015, a whopping 55 percent increase. In 2014, Colorado recreational marijuana businesses tallied nearly $700 million in sales, while the state took in $76 million in taxes. Last year was even better: Colorado took in $135 million in fee and tax revenues on nearly $1 billion in sales. The good citizens of the Centennial State even rejected a $66 million tax refund plan; instead, the monies stayed in state coffers and went to school construction, law enforcement and substance-abuse programs, and other budget line items. Future recreational marijuana revenues are a major selling point in the states that have marijuana ballot questions. Nevada would slap marijuana sales with a 15 percent excise tax on top of the state's 10 percent sales tax; projected tax annual revenues are nearly $465 million. Overall, the DEA directive will have little impact on the booming industry. Meanwhile, a recent Ninth Circuit Court of Appeals decision may make medical marijuana dispensary owners breathe a little easier. 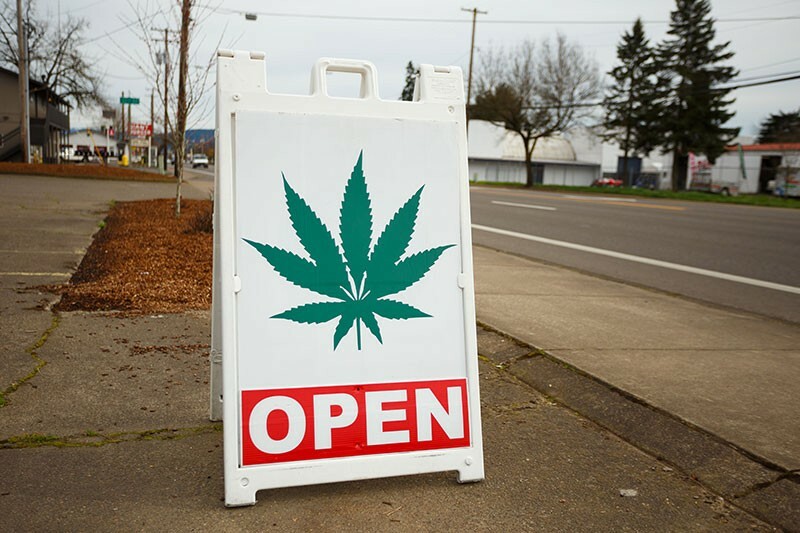 The court ruled last week that the U.S. Department of Justice cannot prosecute people who comply with their state laws on medical marijuana sales. The DEA decision did relax regulations on using marijuana plants in medical research (a sticking point that has long frustrated the medical community), which will allow scientists to cultivate plants in DEA-approved facilities. Medical-marijuana use may be flourishing, but doctors and other medical professionals have had to forge ahead without the rigorous research and clinical protocols that usually accompany new drug regimes, which can take years. Currently, there is only one DEA-approved medical research facility in the country, at the University of Mississippi. But researchers have a long list of issues with accessing the Ole Miss cannabis, including finding that the university cannot offer enough varieties of the plant, which complicates testing. Some researchers have even complained that the university's marijuana was inferior and did not compare favorably to products that can be obtained in states where marijuana is legal—nor are they convinced that the DEA plans to make life easier for researchers to set up their own facilities. There are also more dollars for states in the economic development opportunities to be had in research and development. After Ohio's Republican governor John Kasich signed medical marijuana legislation into law in June, officials in Johnstown, a small town north of Columbus, gave the go-ahead for more marijuana businesses to set up shop. State officials can work around Uncle Sam, since many Americans have come to believe that pot has important medical benefits and is not as dangerous as a drug like heroin. That means that the DEA is now confronted with a paradox: There is new and entirely appropriate alarm about the opiate-abuse crisis nationwide. However, the agency has obliterated the old canard that marijuana was a "gateway" drug to hard drugs. It makes no sense for the DEA, other federal agencies, and state and local law enforcement to continue enforcing existing restrictions on pot as they grapple with a far more serious opioid epidemic. 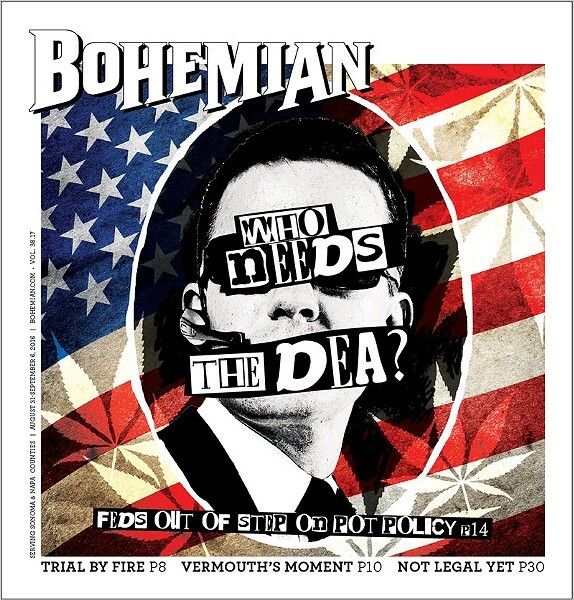 States are the laboratories of democracy, so it is no surprise that the federal government has failed to keep up with regulating the pot industry. But this November, the feds could fall even further behind. As more states legalize marijuana, the DEA will have to think hard about how the agency continues to prosecute its war on a drug that is a medical and fiscal lifesaver in most of the 50 states. To his great credit, President Obama has made headway on Cuba normalization, relief for Dreamer kids and entente with Iran. But this issue continues to demand more federal law enforcement attention than it should. Perhaps his successor will finally leash the DEA and get real on marijuana.